By working together, school administrators and guidance counselors can greatly accelerate their impact on school improvement, student behavior, and mental health. With this practical guide, readers will discover a systematic approach for establishing an effective school counselor–administrator team. The authors share strategies and activities to foster trust and transparency, develop an agreed-on decision-making process, build consensus, commit to a continuous-improvement process, and more. 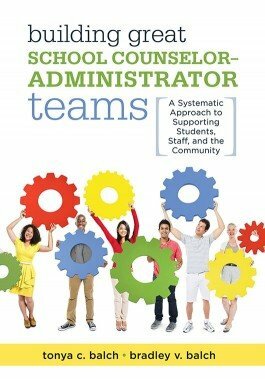 Navigate the evolving roles of school counselors and administrators to build high-performing teams. Examine the concepts of purposeful collaboration and consensus building among school administrators and guidance counselors: the implementation, uses, and benefits to including them in your group decision-making model. Learn the six characteristics of high-performing teams: (1) trust and transparency, (2) results orientation, (3) building professional relationships, (4) respect for diversity and divergent thought, (5) an agreed-on decision-making process, and (6) a commitment to continuous improvement. Consider ethical decisions for students, parents and guardians, and other stakeholders. Participate in professional development activities on leadership, ethical decision-making, confidentiality, crisis management, and more.